Indonesian ride-hailing giant Go-Jek is seeing its founding team, including CEO Nadiem Makarim, make attempts to sell their stakes in the unicorn amidst a rumoured recent funding round, according to people familiar with the matter. One source KrASIA spoke to said that Go-Jek is raising a new round that would value the company at US$8 billion, while another told us that the company is looking at a pre-money US$10 billion valuation in the new round. A US$10 billion valuation would catapult Go-Jek into the same valuation league with regional arch rival, Singapore-based Grab, which was valued at US$11 billion in its last round of financing. Jakarta-based Go-Jek’s most recent US$1.5 billion round valued the company at around US$5 billion. 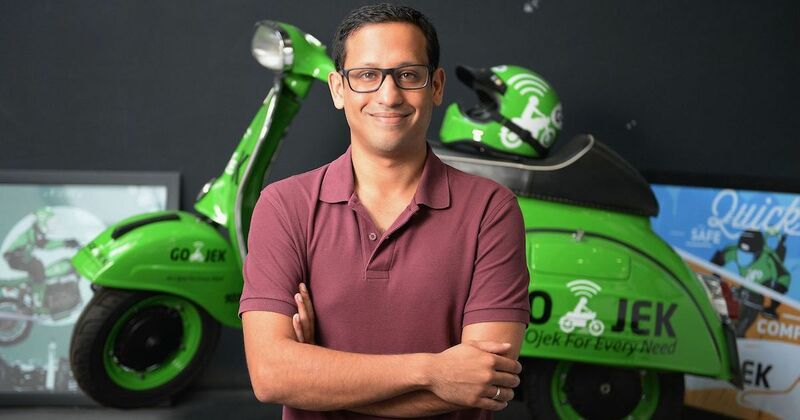 To date, Go-Jek has raised a total of US$2.1 billion in financing, according to CrunchBase data, boasting established backers like Google, Tencent, JD, Meituan, Warburg Pincus, and Temasek, among others. Bloomberg earlier this week reported that Go-Jek is seeking to raise US$2 billion at an undisclosed valuation, and the deal is expected to close within few weeks. Typically, selling off one’s stake does not exude tremendous confidence on the shareholder’s outlook of the company, especially when the said shareholder is a founding member of the firm. However, this is not uncommon or totally negative. Executives might be selling their own stocks to accommodate more new investors, for example. Grab is also tipped to raise a total of US$3 billion by end-2018, including US$2 billion that is already secured, said its Chairman Ming Maa in August. In the wake of Grab’s swallow of Uber SEA operations in March, Grab and Go-Jek took the centre stage of the Southeast Asian on-demand market. They’ve been locking horns by expanding both geographically, as well as horizontally to include more and more services to their platforms. As both were aiming to become the region’s everyday super app, to support a seemingly endless competition, bloated war chests are well sought after for both high-flyers. Earlier this year, Go-Jek had announced plans to operate its services outside of its home country Indonesia, expanding into neighbouring markets Thailand, Vietnam, Philippines and Singapore. Among those markets, it has officially entered Vietnam, and will enter Thailand in a few weeks. We earlier reported that Go-Jek is said to have applied for a license in the Philippines. KrASIA has reached out to Go-Jek for comments. This article is written by Elaine Huang (edited by Ben Jiang); and was first seen on KRAsia.